Firebox is an independent, London-based lifestyle shop for unique and alternative shoppers. The eclectic retailer, established in 1999, creates, discovers, and sells a highly curated mix of unconventional homeware, accessories, gadgets, food, drink, and gifts. Committed to inspiring customers using imagination and youthful energy, their small support team provides answers and care to thousands of shoppers via email, social media, live chat, and phone calls. Firebox was using Zendesk for their customer support. As a smaller retailer, Firebox wanted to offer more personal customer support to align with their brand ethos. Using inhuman terms like “tickets” to address real human needs, Zendesk’s user interface didn’t help the Firebox staff think about customer conversations as conversations. The team aimed to deliver quality service to individuals, but Zendesk’s tools lacked that human touch. Zendesk’s pricing model is geared toward larger, more corporate companies that can afford to pay for every feature separately. For a small business like Firebox, accessing these basic features became costly — quickly. Today Firebox handles all of their communication channels in a single place. “Front has become our ecosystem,” Jannes says. Whether customers connect through email, Facebook, Twitter, or Chatra, Firebox communicates directly through Front’s simple interface. “It’s definitely time-saving to have a dedicated app to manage all of these channels,” Jannes explains. Training individuals is faster than ever. “With Zendesk, it took a couple of hours to train new teams members. With Front, it only takes 15 minutes to get going. Anyone who’s used email before can use Front,” Jannes says. 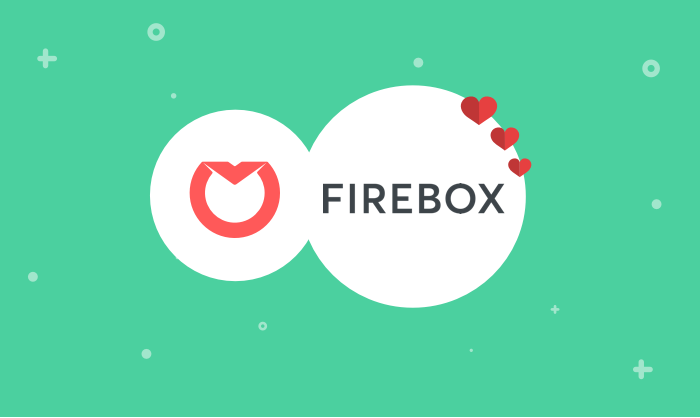 Firebox not only saves time using Front, they’ve become more productive as well. Using Zendesk, their average response rate to customer emails was nine hours. With Front, the team responds in under four. Jannes estimates that Front saves Firebox at least 80 man-hours a week, which has allowed the team to reallocate those valuable hours to improve other areas of customer support. Front’s collaborative inbox has also had a big impact on Firebox’s team dynamic. With Zendesk, everyone worked on their own tickets in isolation. With Front, Firebox employees can communicate, tag and assign different customer conversations to one another. “Front’s group inboxes allow each person to see what their teammates are doing, and to talk to each other. That’s changed the dynamic in a really positive way. Teams are accountable to one another. Each person sees they’re more than an agent behind a computer — they’re a huge part in how our business runs.” The transparent group inboxes also allow managers to see bottlenecks, and where they need to alter their workflows.“Our workflow and the way we collaborate has completely transformed with Front,” Jannes explains.